VeroK.Agency is a dream come true – as much as it was one, when I arrived in London in 2001, to get my first job in publishing. I’ve been very lucky to work in the Foreign Rights Departments of two top UK publishing houses (Kingfisher Publications and Walker Books Ltd) for six years and have decided to use this experience to launch my own Literary Agency in 2008. French native, I have lived in the US, Germany and the UK and now happily (very happily!) live in beautiful Barcelona.The thought of working in children’s books struck me one cold snowy day of January 1996 in Kansas City, US, when I entered a marvellous children’s bookshop called « The Giant Reptile » with the kids I was Au Pair for and sat down with them for the first of many story times there. From that moment on, I knew this was the world I wanted to work in. Although it took another couple of years before it actually happened! I am passionate about books and languages and I believe selling rights is all about knowing which illustrations and genre of books suit which markets and finding the right publisher for the right book. 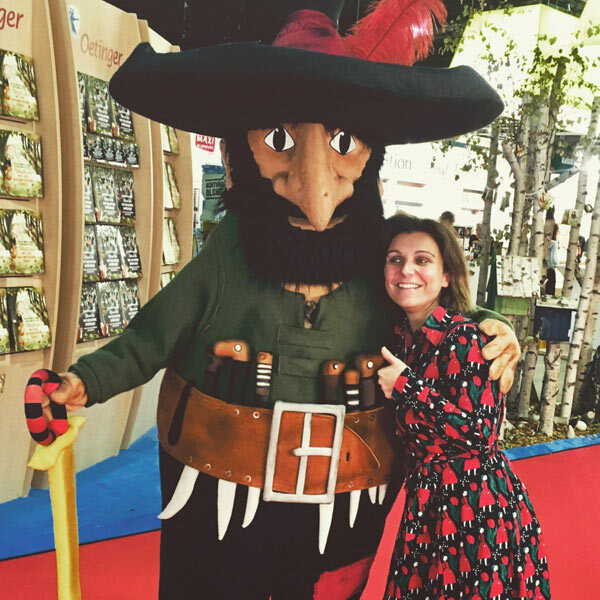 I have met wonderful publishers, authors and illustrators throughout the years and I am hoping to help many more books to be translated internationally!